Available at Sephora, Ulta, Macy’s, Bonanza (global) and Dillard’s. Woooooooow! She’s even more pretty than I’d expected! Actually that’s not true. They sprung this baby on us out of no where and I didn’t even have time to develop expectations. But when ABH releases a palette, I buy first and ask questions later. Okay so deets. 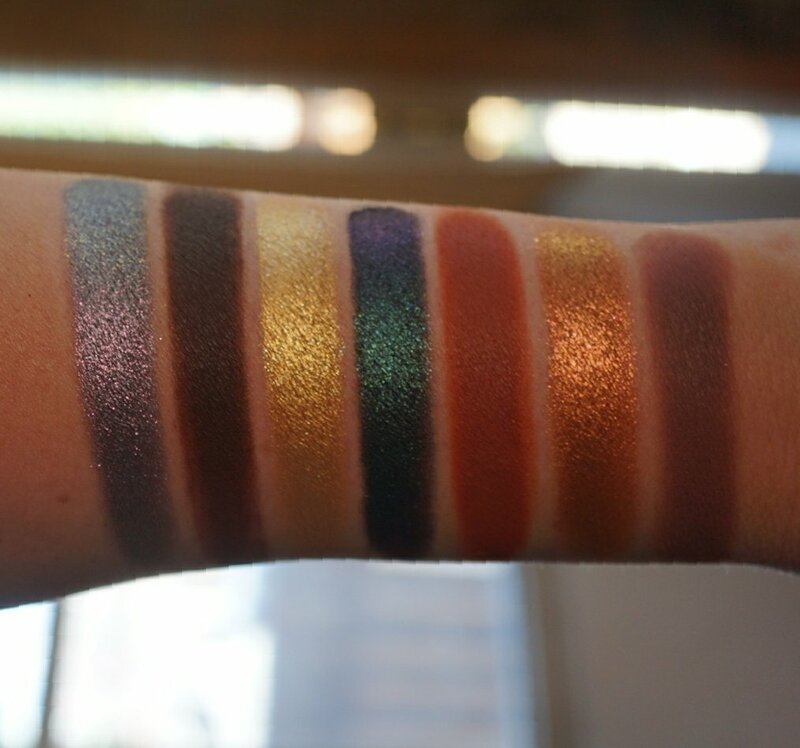 The palette is limited edition and has 14 eyeshadows that are .7g/.02oz each. Same as the last two palettes. 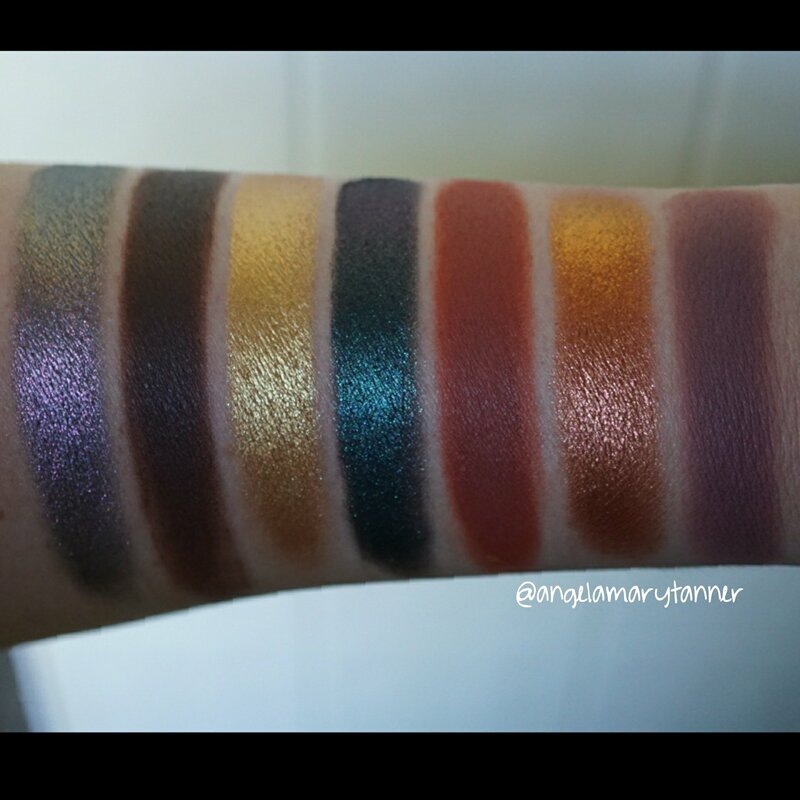 There’s 7 mattes and 7 shimmers. 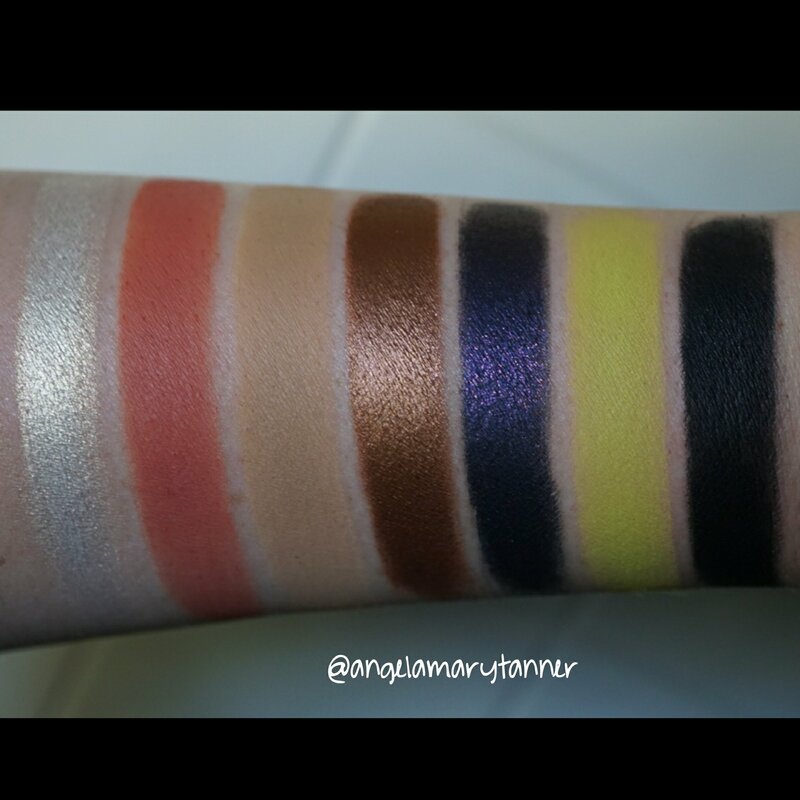 I know people were concerned about the matte formula and whether it would be the same as Subculture. The ingredients are the same but the mattes in Prism aren’t as delicate. 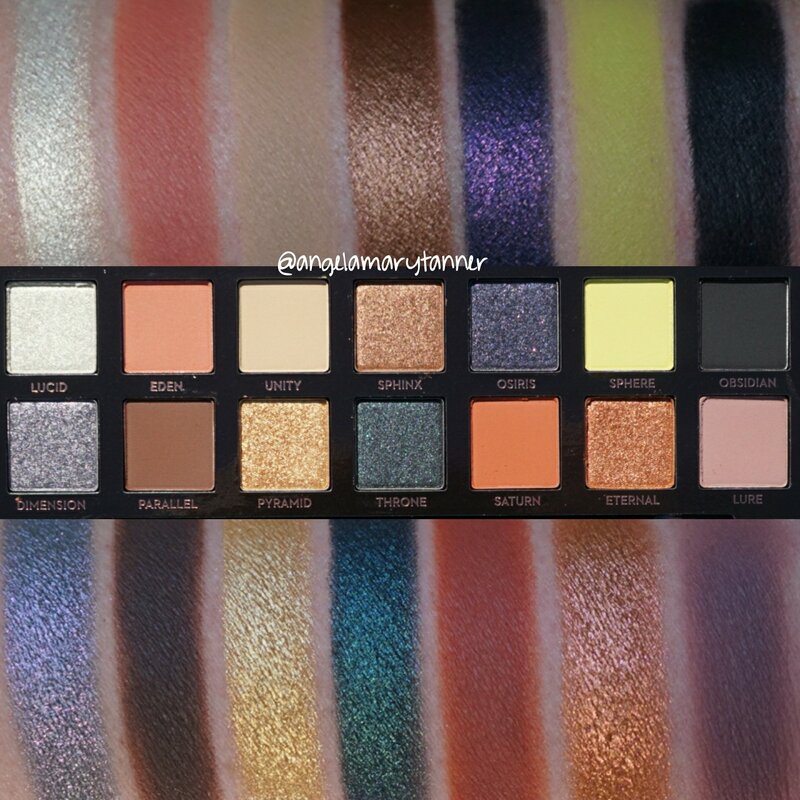 There is some kick up but it’s not as bad as Subculture, more like Modern Renaissance level. Overall I’m very impressed. 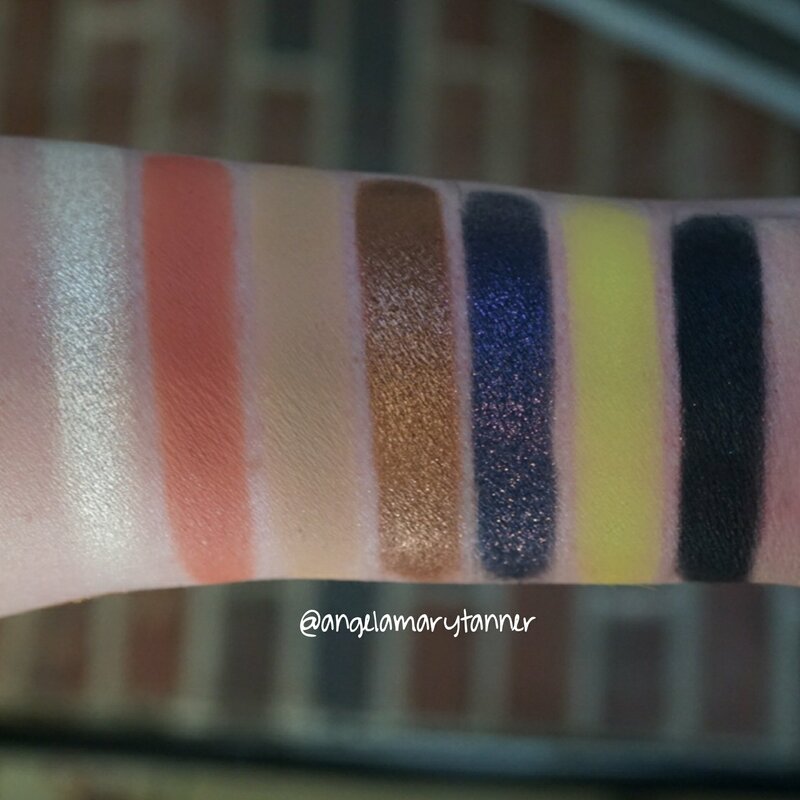 Out of the fourteen eyeshadows, only one performed poorly. However I did notice a lot of similarities to their previous palettes. I’ll mention them as I go through the descriptions. I’m going to abbreviate the palette names for convenience. Lucid is the dud of the palette. It’s a pearly white with soft gold reflects. Very pretty but it performs similarly to Cube from Subculture (S). I had a difficult time swatching it with a brush so I think you’ll get better results using your finger or a damp brush. Osiris has a black base with purple sparkle. 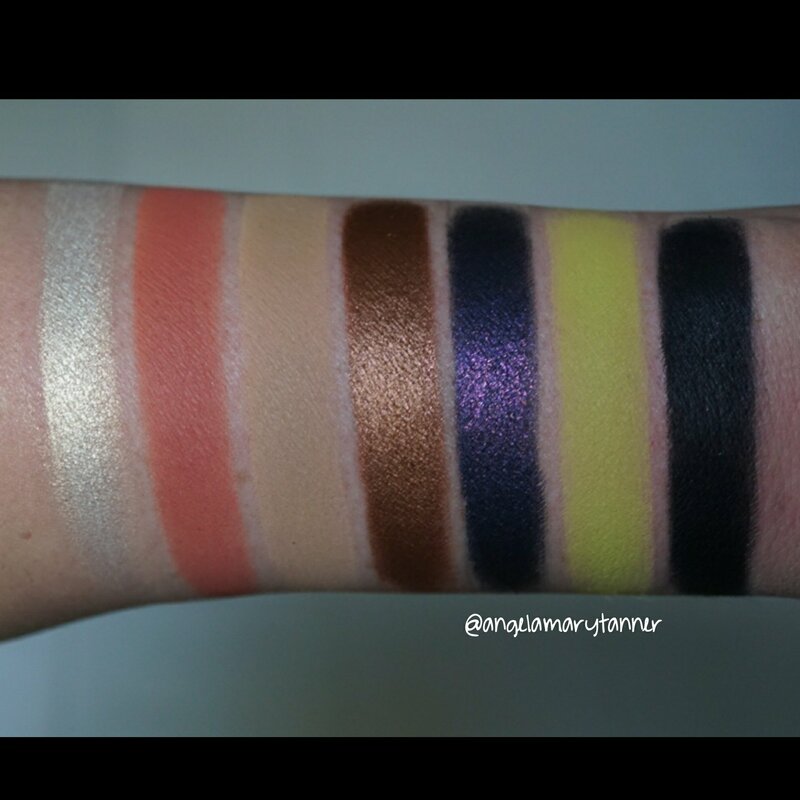 It’s similar to Heirloom from the Shadow Couture palette (SC). Sphere is a neon yellow green matte. Obsidian is a pitch black matte. ABH has a number of other matte blacks. Lbd is in Amrezy and Catwalk and Noir is in several of their palettes as well. 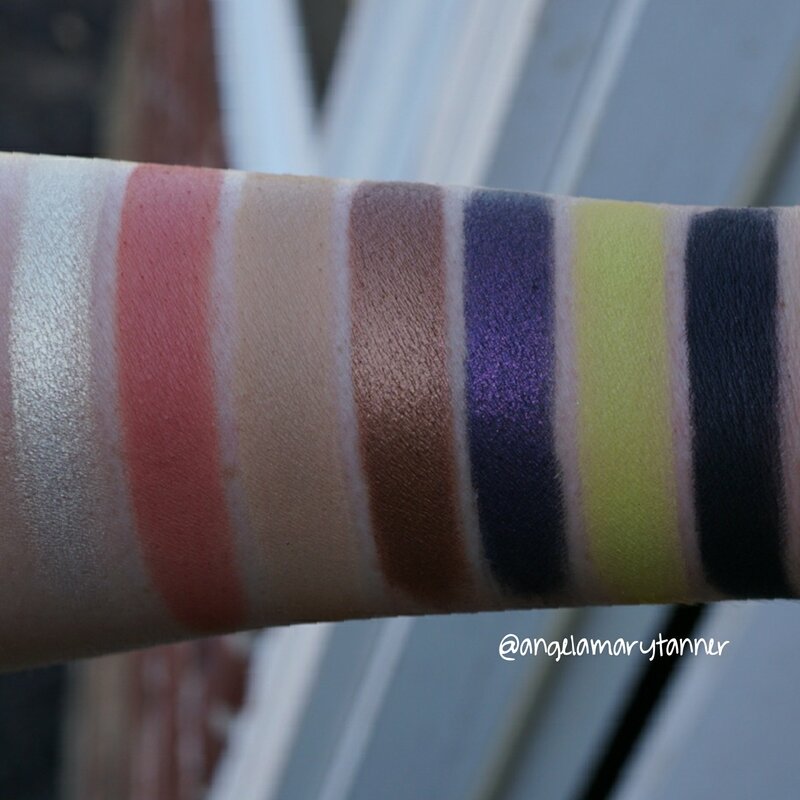 Dimension is the most unique color in the palette, imo. It has bluish gray base with pink glitter and a strong purple shift. Throne is a blackened teal with tons of sparkle. It shifts green and purple. Eternal is a light copper metallic with pink glitter. Lure is a matte dusty rose that’s similar to Buon Fresco (MR) and Dusty Rose (Artist). I’m really enjoying this palette. 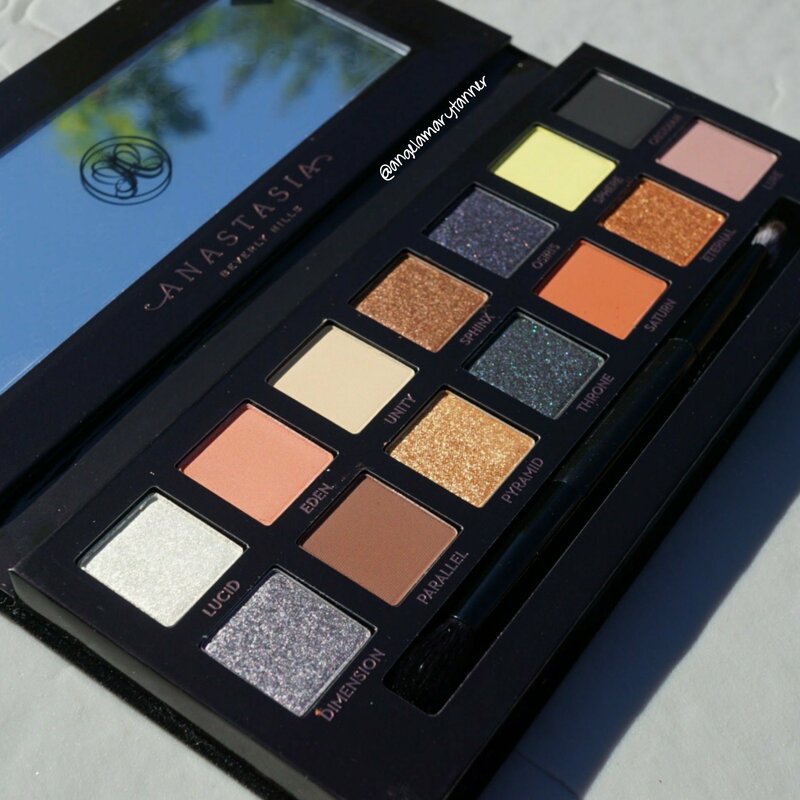 I love the Anastasia eyeshadow formula and all of the colors are beautiful and perform well (besides Lucid). As I mentioned above, many of these colors are similar to preexisting shades but they’re not exactly the same. 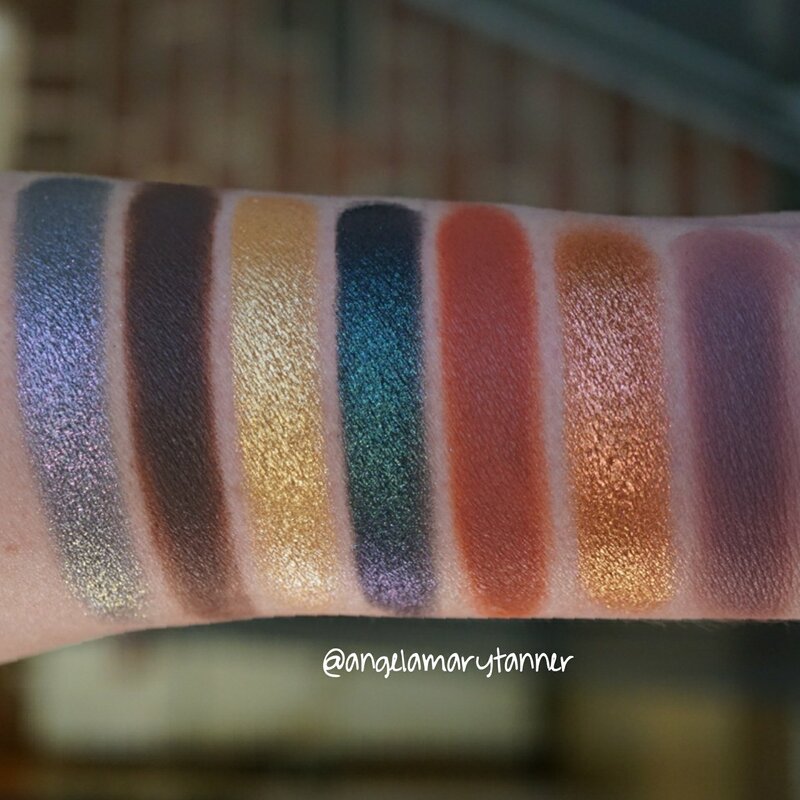 This isn’t a deal breaker for me because any palette is dupeable but it’s something that you should be aware of when deciding whether or not to purchase. Right now Prism is for sale on the ABH website and at some point in the near future it will available at Sephora and other retailers! Between this, Sub Culture and Modern Renaissance, do you have a clear favourite? 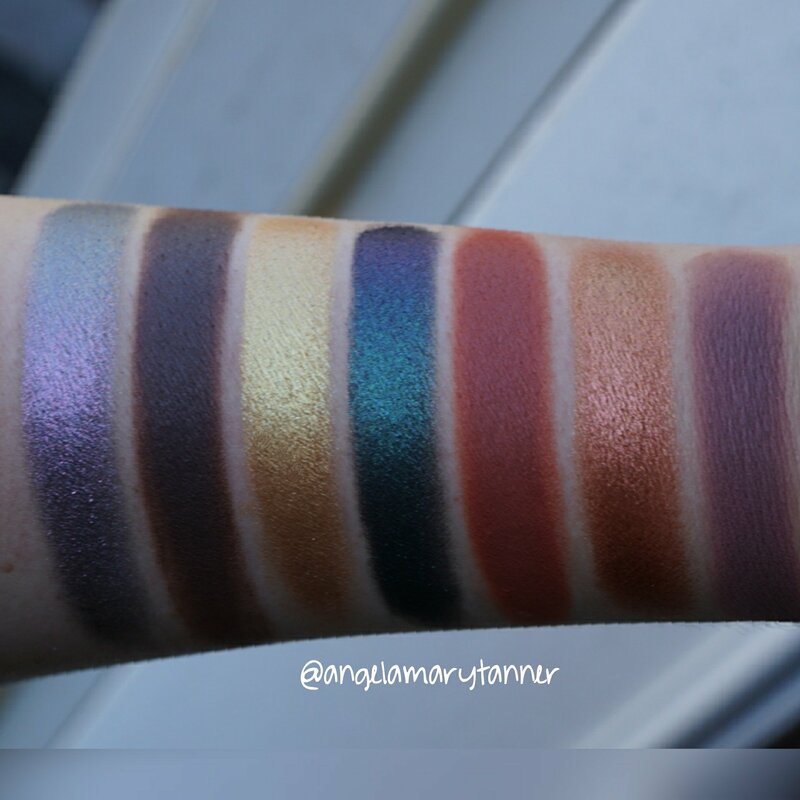 I have MR, and after seeing your swatches and review I’m considering Prism!!! MR is my favorite. I like prism and subculture a lot too. But I wouldn’t recommend subculture since every one else seems to hate it. The one and only ABH palette (of any type) that I own is the Modern Renaissance and I think I’m going to get the Prism as well. Subculture didn’t do much for me as far as shades and finishes, but I’ll buy it if I get a coupon or something. I wish I had started buying ABH products sooner because I absolutely LOVE the MR palette and the handful of single shadows that I own.